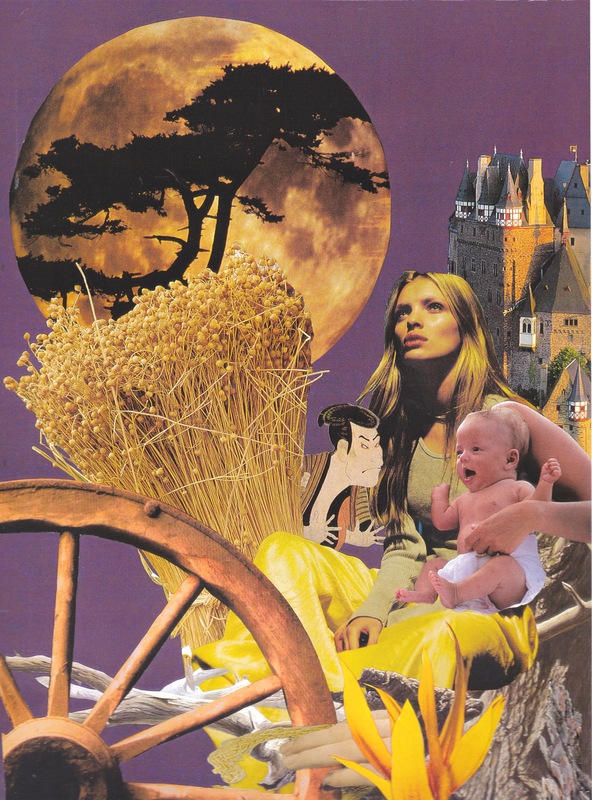 This is actually a collage I made years ago. 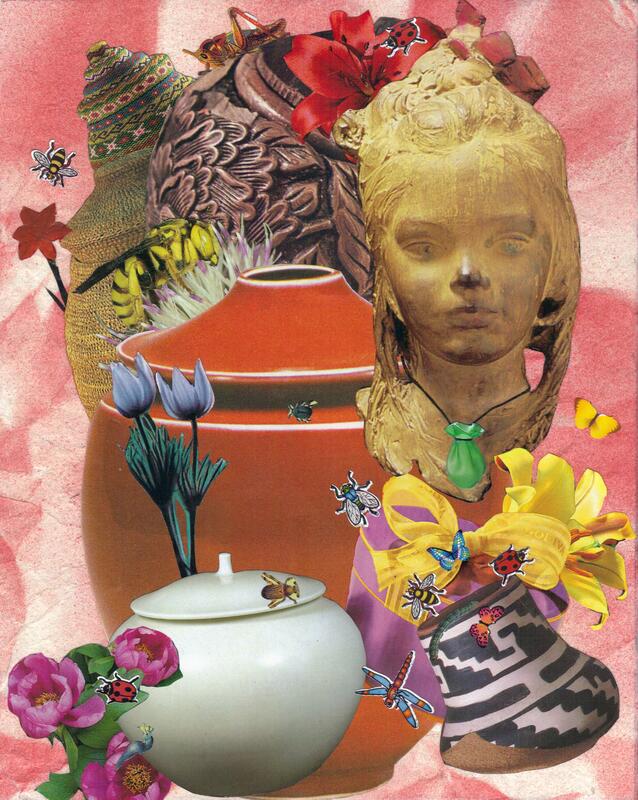 It was the last of a series of fairy tale collages I created last century. I was never very happy with it. I think because this piece is a rather traditional overview of the tale and I’ve always felt that in this story, justice wasn’t really served. It seemed to me Rumpelstiltskin had been cheated. As I recently discovered, I’m not the only one who felt this way. Sara Maitland in her beautiful book From the Forest: A Search for the Hidden Roots of Fairy Tales rewrites Rumple’s story in a much more sympathetic vein. As you might have guessed, the strange little woodland creature was my favorite character. I loved the combination of grotesquerie and wisdom, foolishness and wicked pragmatism; besides, like me, Rumple had a very strong innate sense of Justice. Like me he was an inveterate outsider. I liked that he lived in the woods and danced wildly around the fire at night. Because of the time and places I grew up in, I didn’t do any moonlight prancing until my early forties. it turned out to be every bit as wonderful as I had anticipated. I despised the greedy king and father. The maiden seemed rather dim at best, not to mention untrustworthy. Of course, at the time I hadn’t any children of my own and had not an inkling of the lengths a mother would go to keep her child. Still, in spite of my intervening years and experience I still prefer Rumpelstiltskin and my inner child would have much preferred to grow up in the forest. One day, while puzzling about what it might mean to spin straw into gold, I suddenly realized that straw could stand for all the mistakes and unpleasantness in my past, while the gold stood for all the meaning, insight and teaching, which had grown out of those events. With this same end in mind, we have unraveled fairy tales over the past twelve months, harvesting innumerable golden threads that connect our personal lives to the greater history and heritage of humankind. Thus, Rumpelstiltskin seems a fitting conclusion to our year of twitching our tales and spinning the resultant fallout into gold.